“The hotel’s location on the A591 makes it an ideal base for exploring Keswick and trips to Hadrian’s Wall”. The Castle Inn surely has to rank as one of the most gorgeously serene hotels in the Lakes. 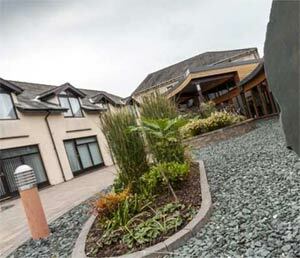 Staring idly over the waters of Bassenthwaite Lake and with dramatic views of Whinlatter Pass and the Western approach of the mighty Skiddaw peaks, the hotel offers a languid introduction to the Lakes. Its a mystical, enchanting region. Tennyson wrote his Morte dArthur poem in nearby Mirehouse inspired by Arthurian legend and rare birds of prey like Osprey return regularly to the Lake to feed on the freshwater trout and salmon. The hotels location on the A591 makes it an ideal base for exploring Keswick and trips to Hadrians Wall. From the mysterious trails through Dodd Wood or the glorious views of the surrounding countryside to the magic of the nesting site of the beautiful Osprey or the majestic Skiddaw Mountain, there is something for everyone to enjoy. It’s a traditional affair with 9-hole putting opportunities in the garden and a range of spa facilities including an attractive indoor swimming pool, sauna and steam room for guests to relax in.